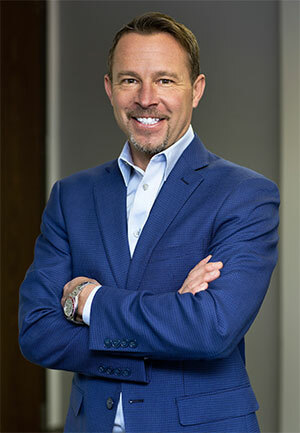 Troy Hamsher is an investment advisor representative of Hamsher Wealth Management, LLC, a state registered independent investment advisor, serving customers in Greenwood Village, Colorado and surrounding communities. Troy Hamsher’s mission is to provide local families and businesses with innovative financial strategies, solutions and planning that can lead to financial clarity and security. Troy Hamsher is an Investment Advisor Representative and Founder of Hamsher Wealth Management, LLC, a Registered Investment Advisor. He is the host of “The Dollars and Sense Radio Show” and has been for over seven years. Troy has been proudly serving clients since 2000, assisting individuals and families with asset protection, IRA, planning and retirement and financial planning strategies. The only place he’d rather be than the office (which is usually 7 days a week) is the golf course! Troy is licensed by the State of Colorado Division of Insurance as well as Nebraska, Kansas, and Arizona. Lauri Hamsher is the co-host of “The Dollars and Sense Radio Show” with her husband, Troy. 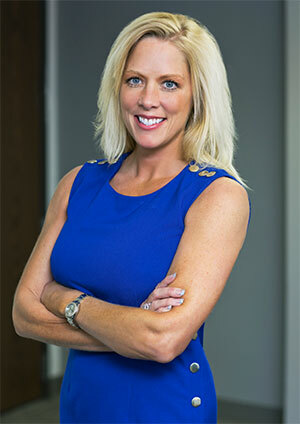 Lauri oversees and maintains the day-to-day client service and support operations at The Hamsher Group, Inc. She also works with other Hamsher Group, Inc. professionals in providing educational financial workshops in the Denver-metro area. While Lauri and Troy provide a team dynamic with their accounts, Lauri has specialized in assisting widowed and single women with income planning and safe money solutions for their retirement portfolios since 2008. Jim’s insurance career began at age 27 and for the next 27 years served as an agent and area manager for a large insurance organization. He firmly believes in the importance of adequate life insurance as a legacy for those we love and care about. His wife of 31 years became a widow at a young age and was left to care for her 2 young children, including a special needs child with numerous handicaps. Jim is currently completing a professional designation in retirement income planning through The American College. Jim reminds us that “retirement planning is a process and not an event”. Whether you are a young person starting out in life or a baby-boomer going into retirement years, Jim can help provide an insured retirement program, guarantee a lifetime income that you can’t outlive, and protect against life’s little and BIG surprises. Chris specializes in creating retirement income maximization and tax-reduction strategies for pre-retirees and retirees. He holds a Retirement Income Certified Professional® (RICP®) designation from The American College of Financial Services. 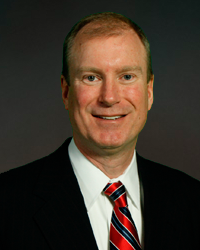 As the most comprehensive program available to professional financial advisors looking to help their clients create sustainable retirement income, Chris’ RICP designation allows him to provide expert advice on a broad range of retirement topics including income needs and objectives, Social Security benefit optimization, asset preservation, legacy planning, long-term care solutions, and income taxation. As an investment advisor representative, his credentials include Colorado Life and Health Insurance licenses, and a Series 65 securities license. 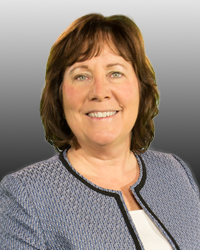 Kathy Watters is a part-time assistant for Hamsher Wealth Management, LLC., helping out with a variety of day-to-day administrative and receptionist duties in the office. She is also the call screener for “The Dollars and Sense Radio Show” with Troy and Lauri which happens bright and early on Sunday mornings. With a prior career in Information Technology, the financial and law industries open up a new world of opportunities for her. Melissa Schupp likes to go by Mel. She is the Executive Assistant for Hamsher Wealth Management, LLC. She has a bachelor’s degree from Mankato State University with a major in Marketing and a minor in Psychology, but excels in enthusiasm, organization and positivity! Don’t be surprised when you hear her Minnesota accent on the phone. She moved out to Colorado 8 years ago with her husband Keith and her dog Reagan. Mel is currently on the board of directors and the 2018-2019 President of the Kiwanis DTC. Scott’s care and attention to all aspects of his clients’ cases are unmatched. He is sensitive to the financial and emotional costs legal issues impose upon his clients. His goal is to keep you informed on a continuing basis regarding the status of your case and to answer all of your questions quickly and decisively, so that the best possible results might be obtained. Jim is chairman of the board of directors for the Aurora YMCA and active in the Aurora Rotary Club. He’s always looking for opportunities to give back to the community. He’s also a proud member of the Aurora Chamber of Commerce. Jim may be reached at 720.600.6011 or jim@bickfordlegal.com. Greg has also been able to personally help individual clients with personal legal needs, such as buying and selling properties, estate planning, business succession plans, and wills and trusts. He is also an Adjunct Assistant Professor at Colorado Technical University where he teaches business law, ethics, strategy and policy. Greg may be reached at 303.514.3436 or greg@bickfordlegal.com.